Reason #1 How do I qualify for a job that matters? Proven Business skills and tips is for Millennials interesting in getting a job that matters. Also, this eBook is highly useful and needed for ALL people in new jobs. Learn how to be more effective with new business skills and proven tactics than your peers to be successful faster. This works because you get step by step instructions on what to say, how to say it and why. Its FUN because it works on your peers, internal customers and manages. Reason #2 Why is this eBook Different? "Future Business Stars" takes Business Acumen to a new level. Other books and text books teach you just the concept. This course is different because we show you what to say, what not to say, what to do, how to say it and how to do it. Much Easier. Click on the "Order Now" button to start the download. Reason #3 Investment in Yourself and Your Career. Future Business Stars is an easy investment decision because these actionable tips and tactics pays for themselves by investing in yourself. Worried about the Investment? For the price of dinner at a average restaurant you can speed up your career. Conversely, if you make one the listed common career mistakes, what would that cost you? These tips make you money and save you money. 60 day money back guarantee to totally eliminate your risk. Reason #4 Make being more successful in your career easier in a few hours. Kim says, "I read half by the pool and finished it in the coffee shop. The tips work and its amazing." Most CEOs, millionaires and successful entrepreneurs have learned these "insider" skills somewhere in their careers. Now you can learn them at a fraction of the cost and time..
How does this eBook/Course help me win at work? Each of the 230+ pages teaches actionable and proven tips and tactics to help you be more effective every day on the job or smoothly and skillfully winning interviews. In every single business meeting, business people are selling ideas to others or wanting others to do something. ALL business people can benefit by improving their internal and external selling skills to smoothly help accomplish their corporate and personal objectives. Learn How to Increase your Value to the Business, Job Productivity, Career Effectiveness AND How to Get and keep a Career in a Weekend. This is for: All Job Seekers wanting Fast Results | Entry Level Employees Starting a Career | Aspiring Business Pros wanting to Speed Up their Career's Success | All Entrepreneurs | Employees wanting More Job Security. EVERY internal or external company meeting is a selling situation. Some is trying to convince someone to do something. This includes all meetings with your manager and peers. Almost no exceptions in business. We teach non sales people how to smoothly, ethically, and effectively succeed in business interactions. It easy to accomplish if you what to do. Most new people have no clue these tactics. That is where your problem ends and theirs begins. Lucky you. Use it to your advantage at work. I was one of many going on multiple interviews for this great job. I read this eBook the night before the next interview. I used one of the tactics and just went for it. It worked just like Mike said in the ebook. It was so cool! I got the offer for a $140k job at the end of the interview. I was so nervous in Interviews I would shake. After reading this course I was MUCH more confident. I started asking my pre-planed questions like the book said and I realized I had more control than I thought. I was hired the next day over 30 other candidates. I been this job for 10 months and I love it. I took the course and added to my resume. I went on my next interview and the interviewer how people just don't have basic business skills anymore and how impressed he was that I took the initiative to learn these skills. I got the job and I believe this course helped.. I was hired a few months ago and the training has comes in handy almost everyday. It's hard to believe how few people in business know this information and how to easy it is to use when no one knows what you are doing. It's fun. I was hired by my current manager and used the manager technique in the book. After I was hired, I told my manager what I had done. He laughed and said, "I'm glad you did it.". Because of how I answered then interviews questions per the course, I was told I was put on the shortlist after the first interview. I am so much more confident because I know I have a skill no one else has that is interviewing and I know what to say to make an impact. Game Changing Business Skills.com. An entrepreneur at heart, Mike Dunn launched his first computer training and software development business when he was just 21 years old. With Bachelor’s degrees in both Finance and Information Systems and minors in Economics and Psychology, Dunn embarked on a sales career for an IT Fortune 50 company. He soared to the top of his field, matching customers’ corporate goals and objectives with bleeding-edge technology. 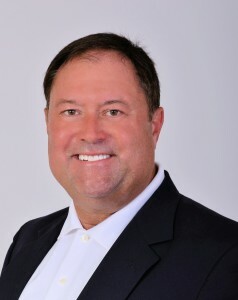 After becoming a self-made millionaire via his sales skills and investing, he has leveraged his 20+ years of leadership in the sales field to help others succeed through his training company, GameChangingBusinessSkills.com. As a thought leader in Internet-related business training and finance, Dunn has been at the forefront of recognizing and acting on game-changing strategies. He melds his expertise in sales and finance in order to quantify return on investment for what Nassim Taleb termed Black Swan Events. Dunn’s current project, Future Business Stars.com, focuses on helping new grads and new hires make faster progress in their careers. Copyright 2011, 2012, 2013, 2014 – All rights reserved. FREE Download "5 Tips on How to Manage your Manager"